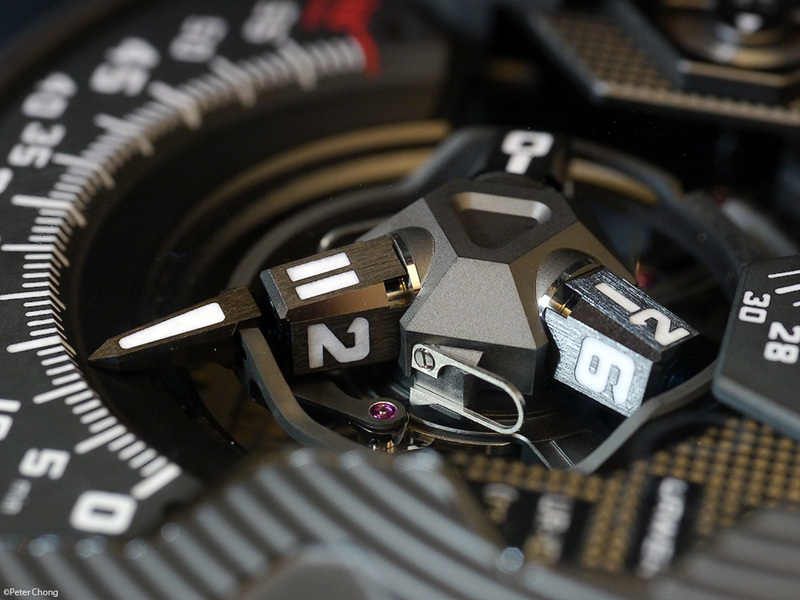 Urwerk watches lend themselves to my work very well. 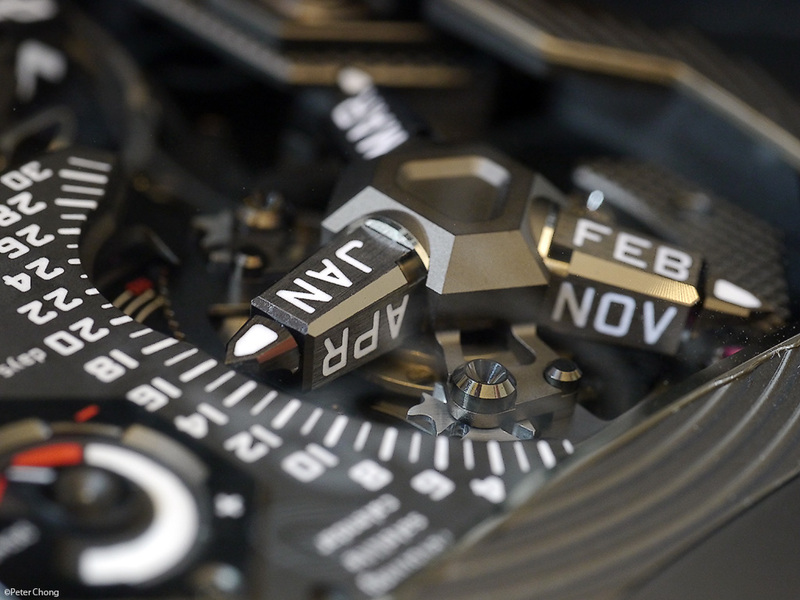 The movements and time display system is 3 dimensionsl, with beautiful angles and curves. And they are quite a work of art. This issue, I focus on one of their newer watches. 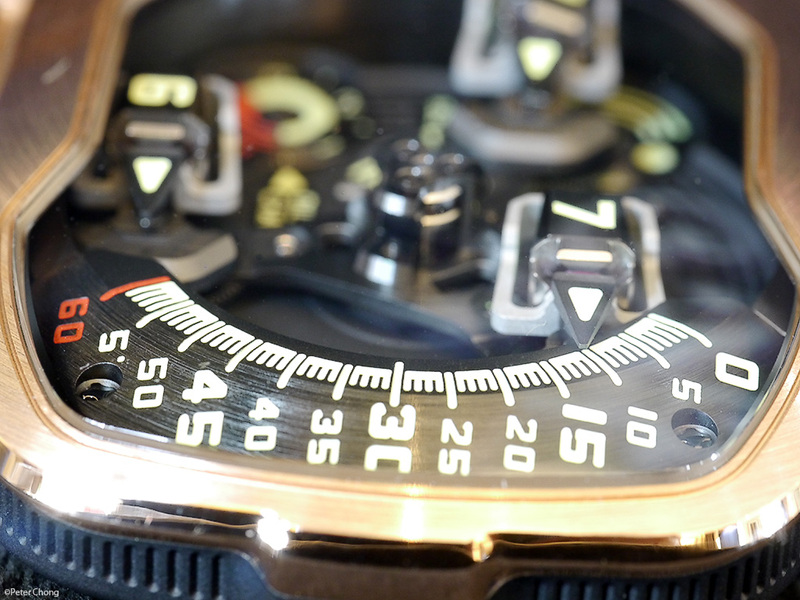 The Urwerk U-110 nwo with a new gold bezel...known as the Golden Shield. Comfortable on the wrist...shown above is mine. 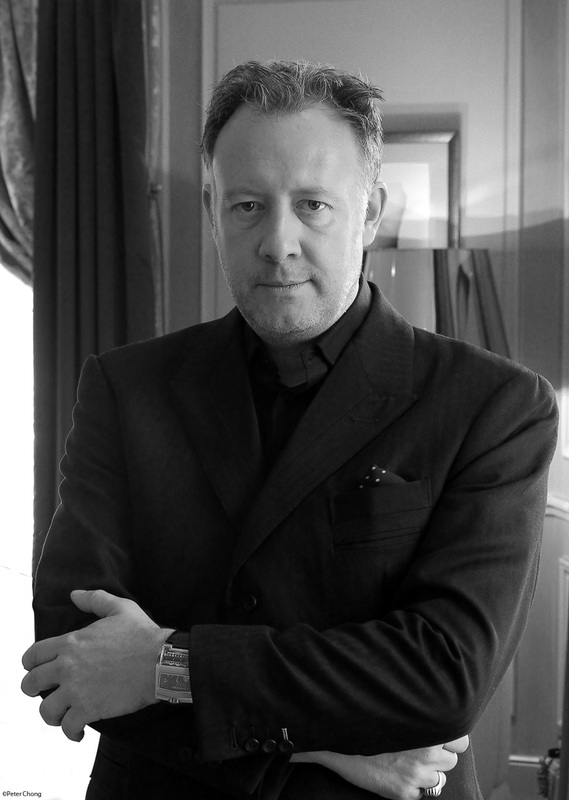 The pods which rotate and the cubes which flip are all part of the game at Urwerk. Shown here the time telling mechanism from the UR-1001 ZeitDevice. Shown below is the time telling pod...hour and minutes. This system is the same in the UR-1001 as in the UR-110. 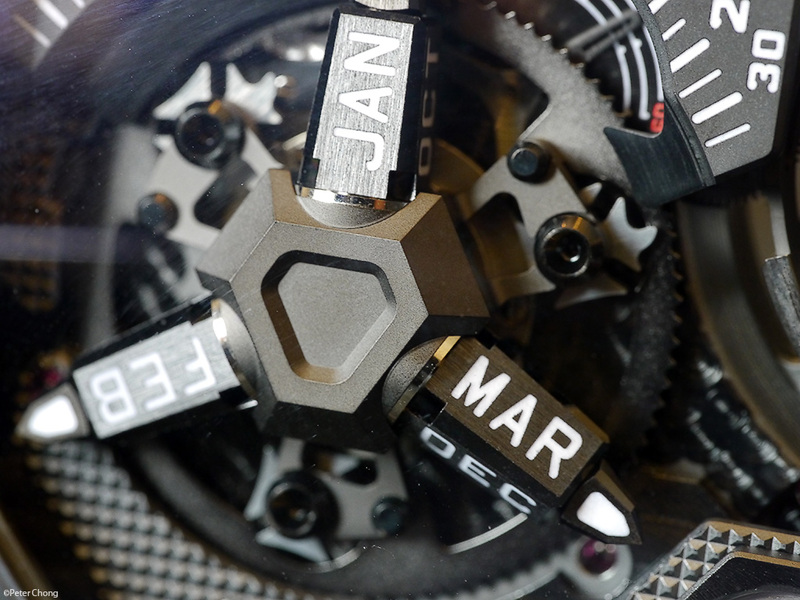 The month and date mechanism on the Zeit Device.